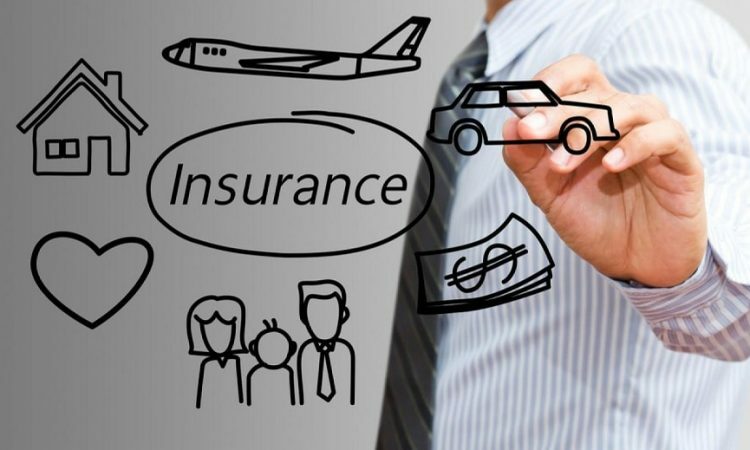 Which Of The Seven Main Forms Of Insurance Do You Really Need? Ensure that major expenses in life are always covered. Without insurance, many of us would have to go into debt to cover these areas, so insurance plugs a necessary gap. Enjoy peace of mind due to the above. Keep our savings for other purposes rather than potentially having to drain them to cover the major expenses and mishaps that may befall us. Do You Need… Car Insurance? Well, we could pontificate for awhile and discuss the necessity of car insurance, but the truth is, there’s no need. Do you need car insurance? Yes. There’s really no negotiation on this, especially if you live in a part of the world where car insurance is a legal requirement to drive. Of course, that’s not to say you should be willing to just pay for your car insurance without further scrutiny. It’s always wise to hunt down the best deals, use comparison sites, and see if you can qualify for any cashback on the purchase of your premium— but you’re definitely going to need that premium. Yes! You need car insurance. It’s (almost certainly) the law. Do You Need… Life Insurance? For you personally, life insurance is all about peace of mind. It’s about knowing that your family will be financially taken care of should you pass away, and for many people, that’s incredibly valuable. Yes! You need life insurance. A key component of achieving peace of mind and securing the future for your family. Do You Need… Home Insurance? Home insurance tends to be broken into two different areas; building insurance and contents insurance. It’s this split that makes answering this question difficult, because the answer is actually different between the sections. Contents cover is nice, but it’s not essential. It is, at its heart, insurance of your possessions. You may be attached to your household possessions but, in most cases, you don’t need them— and that’s the question we’re seeking to answer. Yes! You need home insurance… of a kind. If your budget is tight, you can skip the contents cover and just focus on the home itself. Do You Need… Individual Dental Insurance? Dental insurance sounds like a good idea, especially given how incredibly expensive even the most basic of dental insurance can be. However, buying individual dental insurance is usually not necessary, as you will often find that your health or life insurance includes at least some dental cover, so check and see if this applies to you. If not, then there are still options that can be better for you — and your budget — than dental cover. Dental discount cards, for example, are well worth investigating, and could actually save you money in the long run. No! You don’t need dental insurance. There are other options that mean individual dental insurance is an unnecessary stress on your budget. Do You Need… Annual Travel Insurance? Travel insurance is something many people go without, and the truth is, you might be able to as well. While you may be tempted by reward schemes and vouchers offered for buying travel insurance on an annual basis, these are rarely a good deal. If you travel fewer than four times a year, it may be more financially sensible to just purchase one-off travel insurance rather than paying for an annual plan. No! You don’t need annual travel insurance. Only frequent travelers need to invest in yearly plans. Do You Need… Health Insurance? Yes! You need health insurance. Do You Need… Pet Insurance? It may seem like pet insurance should be treated like health insurance; of course you’re going to want to do all you can to protect your four-legged friend’s health and well-being. This, for the most part, is very true for most pet owners. However, there is a point at which paying pet insurance can become more costly than it is worth, and it’s all to do with your pets’ age. After around the age of 10 for dogs and 14 for cats, pet insurance is likely to have too many exclusions — and too high a premium — to be considered a sound investment. There are some caveats to this; first and foremost, if your pet has no pre-existing conditions, then you may not see their insurance spike just because of their age. However, if renewal costs begin to become incredibly high, you may be better off just saving money specifically for pet medical expenses— use a high-interest savings account to really maximize what you’re able to save. … but only if your pet is relatively youthful. At a certain age, it may be better for you to save money each month for vet bills rather than relying on insurance. Paying an insurance premium might sound like it’s always a good idea. However, this isn’t the case, and it especially isn’t the case if your budget is already thinly stretched by your financial commitments. By only paying for the premiums that are genuinely beneficial to you, you can be confident that every penny you spend on insurance is absolutely worth it. Yes, car insurance and home insurance is a must, and life insurance is a good idea. Health insurance is more dependent on the country you live in, but I have found myself giving up on pet insurance and merely putting money aside instead. Some insurance policies are not worth the paper they’re written on. Glad you’ve mentioned this Irvine. I’ve heard many people disagree with pet insurance. I think you need to ensure you find a plan with the most workable terms and conditions. Failing that, the alternative seems to be what you’re doing – putting money by. Yes, pet insurance is somewhat a grey area with some lenders. We paid into our dog’s policy for seven years solid, and when we had to use it on one occasion, we were denied if for months on end. I am often astounded at those who don’t have any form of home insurance. Watching a neighbor lose her home and possessions to fire has ensured I will never skimp on this insurance!